So often in a simple phone call, or a chance meeting, veterans spot the tell-tale signs in each other of a fellow veteran and the banter begins, which is now often followed by an invitation to visit their nearest Club, now across the UK and in many countries worldwide. 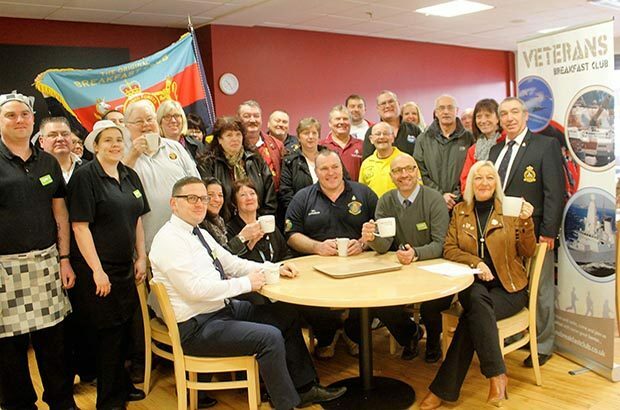 The origins of the Breakfast Clubs were in Hull, when during the 1990s former colleagues of Peter Barker, from his days as a REME reservist soldier, would occasionally drop into his garage for a chat and a brew. In 2007 Dereck Hardman brought an ex MOD vehicle to the garage to be worked on, and it began in earnest, both enjoying breakfast and a banter every Saturday morning, word spread with one veteran telling another and the Breakfast Club was born. 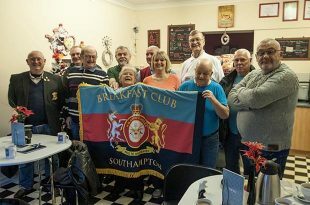 It soon expanded until in 2014, after a breakfast to celebrate Dereck’s 50th birthday, many of his former Sapper comrades from around the country went home after with the intention of starting their own Breakfast Clubs. Now, with around 150 Breakfast Clubs around the world, and over 25,000 members on Facebook alone, the Clubs provide a much needed place for veterans to go and enjoy the old camaraderie. Often that’s with people they hadn’t met before, but who are brothers and sisters from having served, or who are currently serving in HM Forces. It doesn’t matter which service you served in, or for how long, you will be made very welcome to join in the banter over breakfast. There are no fees, and very few rules, each Club making its own decisions on when and where they meet and at what time. If you can’t find one near you, call the contact number on the website, and a new Club can be set up very quickly, as long as there is a good venue with adequate parking, good disabled facilities, and of course assuming there are a number of veterans in the area. If they can ‘hack the banter’, young or old, all are welcome; families and supporters or carers are often also welcome. Veteran’s Breakfast Clubs are here to allow veterans to “return to the tribe”! Find your nearest Breakfast Club, by entering a place name or postcode into the search box at www.afvbc.co.uk, which will give you your 5 nearest, then simply turn up.